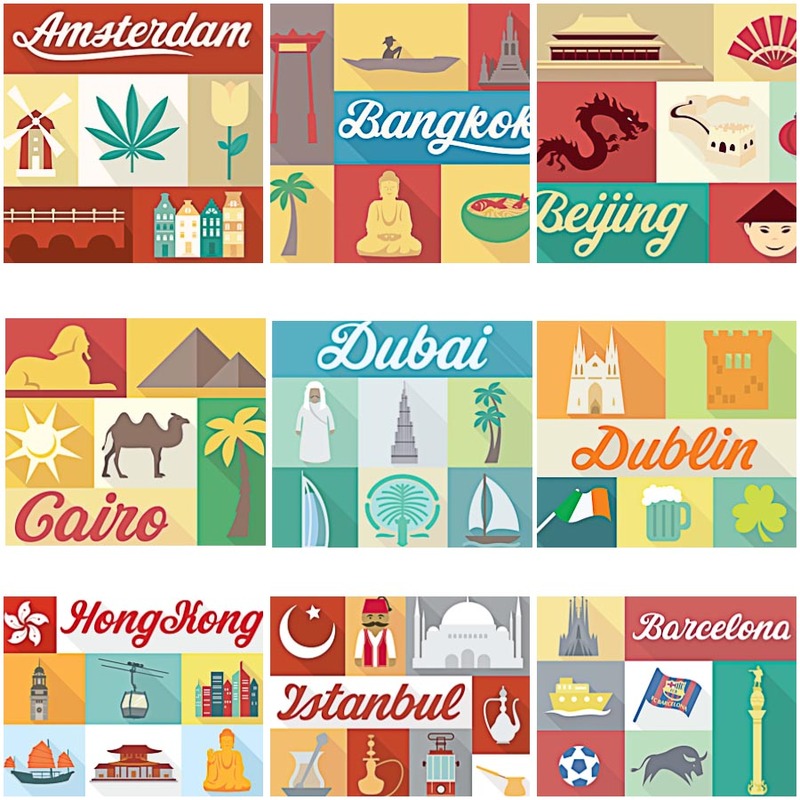 Set of 9 vectors with traditional elements of different cities: Amsterdam, Barcelona, Beijing, Bangkok, Dublin, Istanbul, Dubai, Cairo, Hong-Kong etc. in flat design. Tags: badge, city, decorative elements, flat, traditional, trip, world.